1. 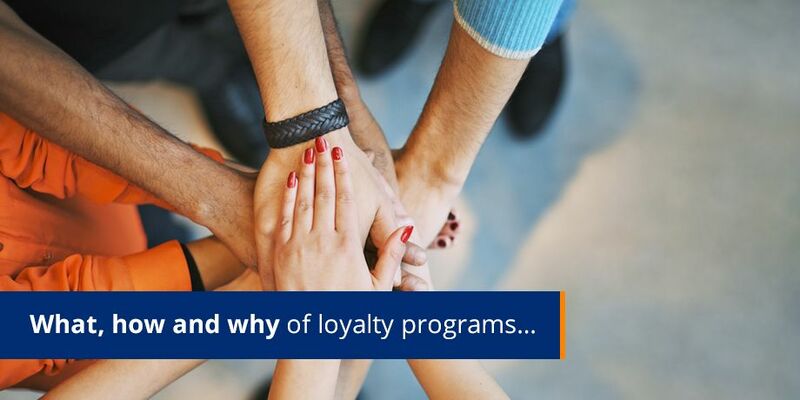 Why create a loyalty program? According to Inc., it costs a business about 5-10 times more to acquire a new customer than it does to sell to an existing one – and on average your current customers spend 67% more than a new customer would. Companies need to question what they are doing to keep customers coming back to their business. 2. What does a successful loyalty program look like? Keep customers from defecting to another Brand – offer appropriate benefits or rewards and get customers ‘locked in’ so that they don’t want to defect. Attract new customers – in a highly competitive market, a loyalty program could be enough motivation for customers to switch brands. Prompt customers to make additional purchases with further incentives. 3. What limitations do you see in existing loyalty programs? Complicated programs and bad communications can be the failing point. Some programs are so complicated that the customer actually doesn’t know how to earn or even redeem rewards/points, so it becomes wasted on them. These customers often become dormant. My advice: don’t over-complicate the program, offer what the customer wants and make their life easier. Bad communication can also result in an unsuccessful loyalty program. I believe it’s essential that companies communicate the details of their loyalty program effectively. 4. How does digital communication support a loyalty program? A well-timed and relevant email or SMS can push customers into your store to purchase more products or to redeem some points. Striata understands the art and science behind digital communications and is able to bring this expertise to the table! We currently help major brands to communicate more effectively – this drives interaction, behavior and ultimately achieves the desired results. Boost your loyalty program with an effective digital communication strategy and reap the rewards – Contact us and we will show you how!